Learn more "About Us" and read "Our Story". Sign-Up Today for our Fall Pork CSA! Join our new “2018 Chequamegon Pork CSA” today to stock your freezer with delicious, high-quality, local pork at a nice price! Your share of a “half” or “whole” hog includes a box of vacuum-sealed individual cuts of pork processed to your specifications and pre-frozen. Call us today to reserve your spot 715-685-8615 and find out more info here. 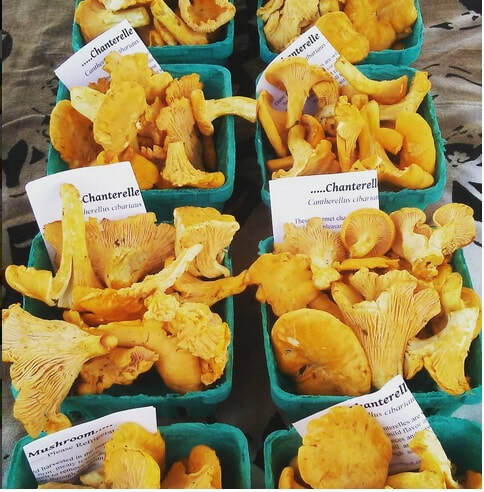 Take a gander at the August edition of northern Wisconsin's Bottom Line News newspaper for a nice write-up on Seasonally Sourced Foods in Meagan Van Beest's "Local Flavor" column! You can﻿ download the PDF for viewing here﻿. Seasonally Sourced Foods on Instagram! Get social with Seasonally Sourced Foods and follow our new Instagram account to see fun and cool foraging photos, unique wild foods cuisine, and more. View and follow our Instagram page today!